Is It Okay If I Don't Drink Alcohol? This is probably going to be quite a different post, I wouldn't say controversial but it's definitely different. One of the biggest questions I get asked on nights out or when I go out for drinks or a meal with someone, or one of the biggest things people are shocked about when they first meet me is that I don't drink alcohol at all. A lot of people don't seem to grasp that it's okay if you don't drink alcohol and you can actually have fun without needing to intoxicate yourself. So, this post may answer some questions as to why some people don't drink and it's not weird if you don't want to have alcohol. When people find out I don't drink there is only two types of responses I get, one response being "that's amazing, and a really rare thing to find. Well Done! ", but I don't see it as an achievement? The second response I get it shock, and people immediately go "Why?" before asking question after question. One of the biggest questions that anyone asks me when they find out I don't drink alcohol is WHY? Why don't I drink alcohol? Is it for religious reasons? Do I just not like the taste? Does alcohol affect me badly? Do Benefit listen to complaints? If you are a regular reader of my blog or follow me on twitter, you will know that I have been getting my eyebrows waxed and tinted at Benefit for just over two years, and have posted about previously and have never had a problem until recently. On the last appointment I went too, the lady who waxed my eyebrows did them unevenly and left one eyebrow with hardly any hair left on one side and wiped my mascara down my face when she was removing the product I had put on. Then where she came to adding powder, she did them 4x darker than I wanted and larger that I had asked for and made one go down past my eye! The above photo is from a time when they actually did them how I wanted, now just imagine those a very, very dark brown and the left going down past my eye and the right eyebrow a lot thicker than the other - that's how I ended up leaving Benefit, and that was after I kept asking for touch ups! It made me so self conscious that I had to go downstairs and visit The Body Shop and they kindly let me use whatever products I needed to fix my eyebrows - I ended up using foundation and concealer to tone down the brows after brushing them through with a spolie to get rid of as much excess powder as I could before I was remotely happy with them. Big thanks to The Body Shop for helping out! 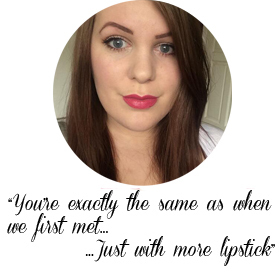 Make Up Revolution have been making their way around the bloggersphere ever since they came on to the scene 6 months ago - everyone has been raving about their products, and finally I was able to get my hands on them when I found out which Superdrug store near me sold them. For me, I always prefer to buy make-up in store rather than online as I always like to swatch things first - being pale, my skin is always tricky to buy colours for. One of the items I decided to pick up during my mini Make Up Revolution haul was this! 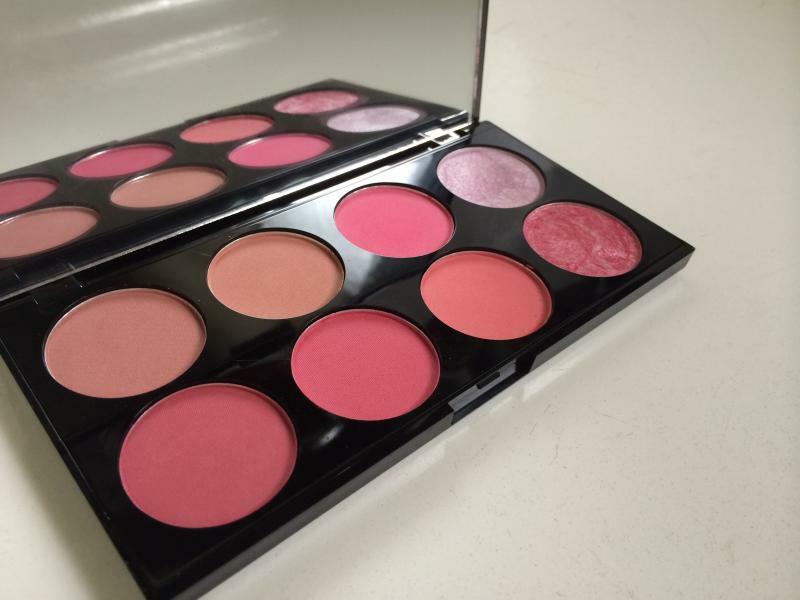 The Sugar and Spice Blush and Contour palette - there are two blush and contour palettes too choose from but I decided that this one would go better with my skin tone and I also thought it housed better colours for the coming Autumn/Winter months. This palette features a range of deep dusty pinks, to dark barbie pinks to naturals - so there is definitely something for everyone - there are two shimmers on the end, a highlight and a pink shimmer, amazing to add a bit of shimmer or help to spice up an evening makeup! As I said in my August Favourites post, when I recently got my new Love Your Body card after using up all my stamps, I was given a free gift from The Body Shop for renewing my card - and it was a full sized Shower Gel. There was a range of 6 scents to choose from - all ranging around the typical fruity scents that The Body Shop normally have on offer - such as Strawberry, Vanilla, Japanese Cherry Blosson and Satsuma - I instantly sniffed this one, the Amazonian Wild Lily as I was already drawn to it because of the light green colouring, and I fell in love with the scent! The scent smells so incredibly fresh - like water and cucumbers, that kind of fresh scent and as soon as you open it up when your in the bath or the shower you instantly are hit with this fresh scent and it definitely helps you wake up in the morning - especially if you, like me, have trouble with actually feeling awake in the morning before work, this Shower gel definitely helps! 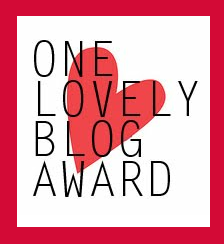 Last week I was nominated by the absolutely love Regan Coday for the One Lovely Blog Award, it was very unexpected and was a lovely surprise to appear in my inbox. 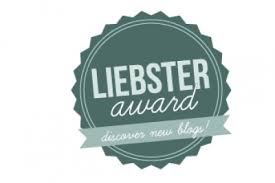 I highly recommend you go check out Regan's blog as well! 1. Eminem is my favourite artist of all time - he music and lyrics mean a lot to me. The fact I have finally seen him live, has pretty much completed my life. Nothing will ever top that night for me, ever. 3. My cat is my best friend, I honestly don't know what I'd do without him. He's always there to give me a cuddle at the end of the long day, and will sit for hours on my knee purring away. 4. My favourite movies are 8 Mile (for obvious reasons), Keith and Stepbrothers. 5. When people meet me, then always think i'm younger than I am. Everyone thinks I'm about 17/18 when they first meet me, when I'm actually 24. 6. I absolutely love having white nails. 7. I love being pale - I don't think I will ever, ever fake tan. 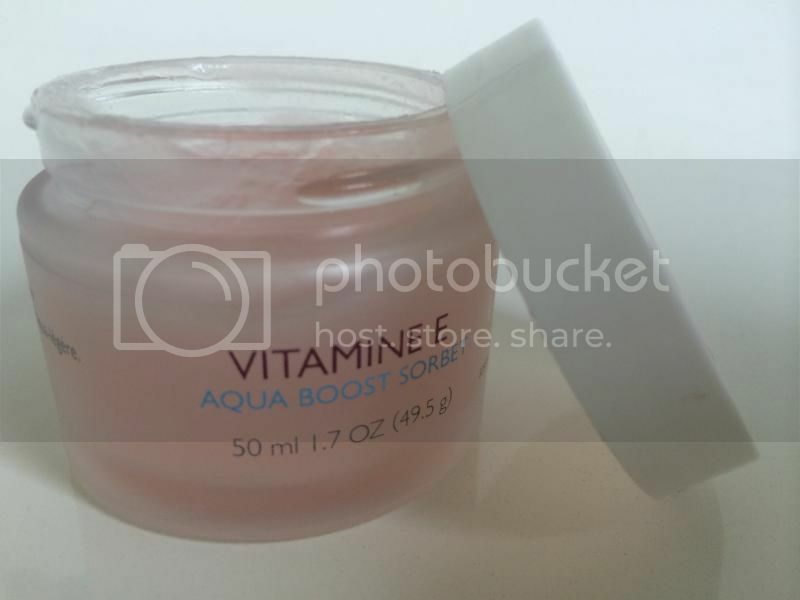 So a few months ago when The Body Shop released their Sorbet range, mainly consisting of the Body Sorbet which came out in a variety of flavours, the bloggersphere was full of reviews and first impressions of those, and I feel like the Vitamin E Aqua Boost Sorbet severely lacked interest. 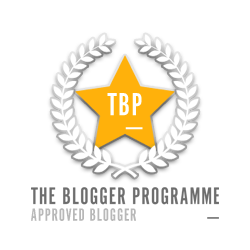 I know it's now start to pop up on a few blogs but not as much as I would have though. I got this around 2 months ago and I have been loving it ever since, as soon as I samped it in store I fell in love with the product, with how it smell and how it felt when applied and when it had been given the chance to sink in to the skin. It comes in a sturdy frosted glass pot with a screw on lip and this is definitely a weighty product thanks to the packaging and it feels really sturdy when holding it which I like. This sorbet claims to be a cooler version of the Vitamin E Moisturizing cream, as well as that this Sorbet includes mattifying products so you don't need to worry about getting a shiny face afterwards, which is definitely a plus - especially if you use this on the go! The texture of this sorbet is so incredibly cooling and light on the skin and personally, my skin feels hydrated as soon as I apply this product and continues to feel that way for several hours after application. I know, I know - I'm late with this post! But here is my favourites for the month of August! Throughout this month I have kept my make-up and everything very simple and going for the more natural approach to things to have a change - and I've been liking it! I've also been trying a few new skin care products that have definitely made their way into my skincare routine and I can definitely see an improvement. I won't talk about everything in depth as I have full review posts coming up in the future about each individual item. The other night myself, my dad, my stepmum and her friend went out for a family meal to celebrate my stepmums birthday. We couldn't decide where to go but when my stepmum got some vouchers e-mailed to her from Zizzi - our decision was made for us! 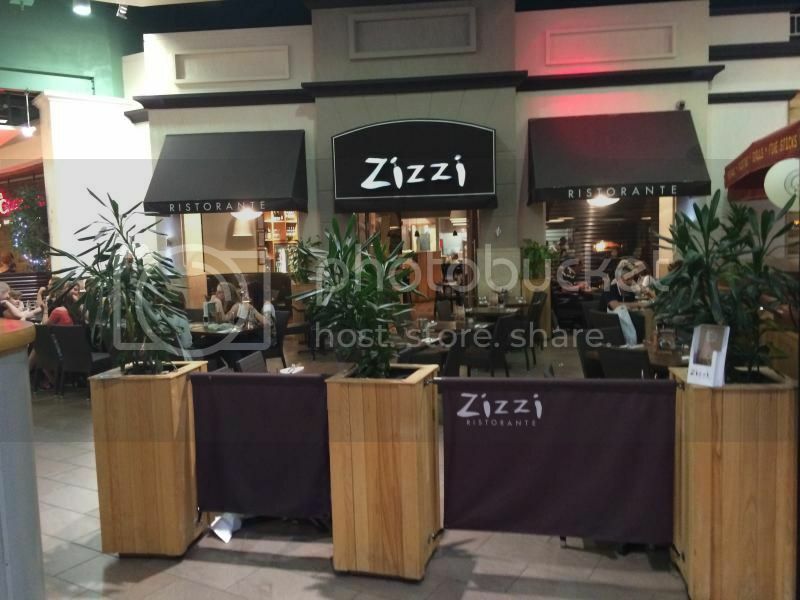 Zizzi's is an italian ristorante located in the Oasis Dining Quarter of Meadowhall Shopping centre on the upper floor- although there are more scattered across the country, including one in Sheffield City Centre. 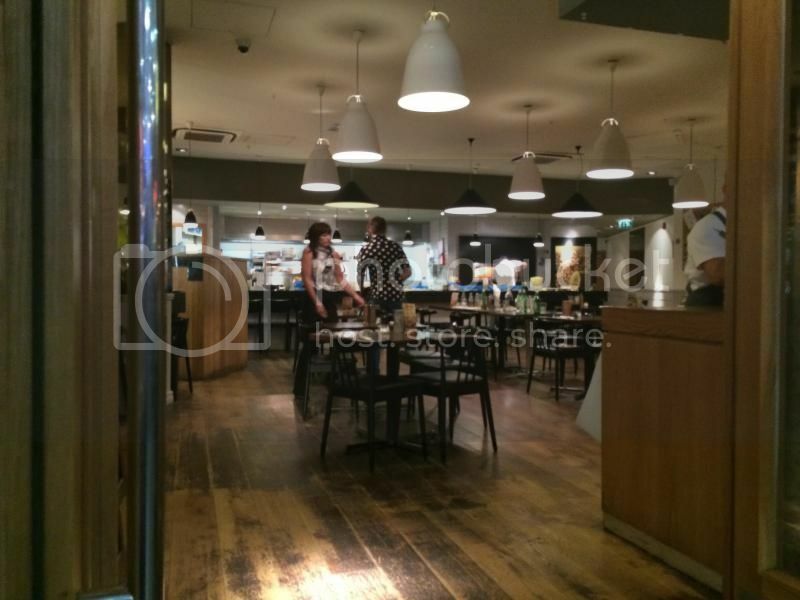 Although it's located in the heart of Meadowhall, once inside it still feels cosy and like a restaurant. When we first arrived we were given a table right at the very front of the restaurant and my chair was pretty much in the entrance of the restaurant - you see in the first photo there is three plants at the very front? our table was that one at the front between the first two plants!So people were bumping into our chairs as they entered and left the restaurant, so we requested to be moved - they gladly let us and clean and set up a table for us further in the restaurant. Sitting here made it feel a lot more like a restaurant less like a place to grab something to eat mid-shop, considering we had dressed up for the occasion we definitely wanted to feel like we were at a restaurant instead of a cafe in Meadowhall. 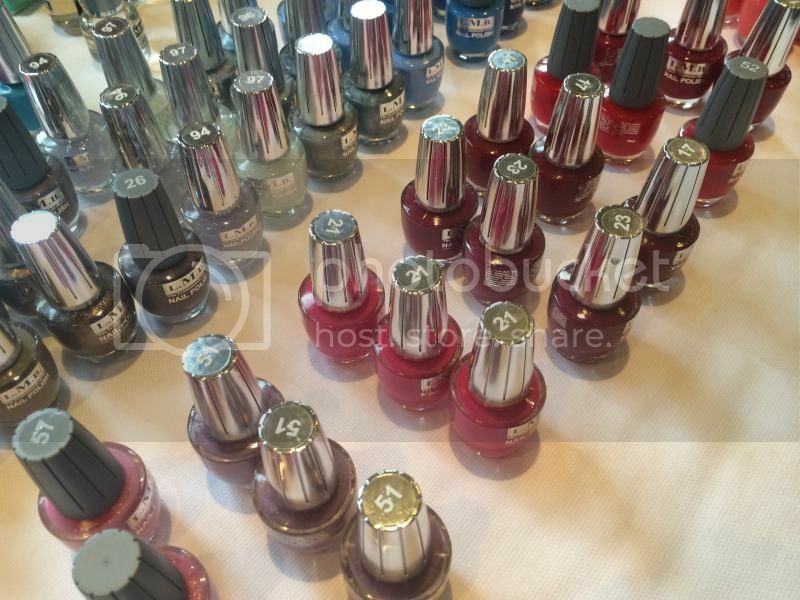 What hair colour is your hair currently? 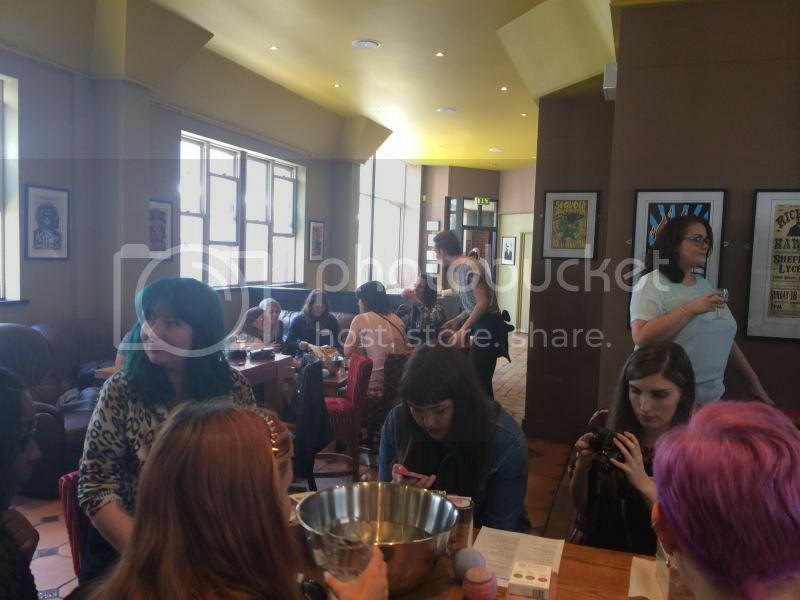 On Sunday, I was lucky enough to attend the Northern Bloggers Meet Up in Sheffield and I had been looking forward to it all week! We all meet up at a lovely little Cafe named Eten which is right in the centre of Sheffield, but yet tucked away so it still felt cosy. I had never heard or seen this cafe before, but after this meet I will certainly go again! A few of the other bloggers that were there had ordered food which looked absolutely incredible and was beautifully presented! I soon found a seat and sat near Faye, who I have met before at the Fruition Hair & Beauty demo night a few weeks ago - I also sat near Emily and Lauren who were really lovely! 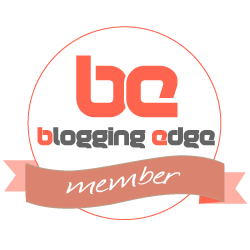 So many bloggers attended, I think there was over 35 people there which was brilliant and really added to the atmosphere. Everyone was having fun, and we all had a giggle when as soon as something happened, or a product was shown everyone jumped out of their seats with their cameras in hand!